Pizza can be an affordable, nutritious and healthy meal choice for lunch or dinner in Las Vegas. Pizza is often lumped under the category of junk food in America. While there can certainly be some that are processed and full of unhealthy ingredients, many pizza options are very nutritious. When prepared with fresh ingredients and minimal processing, pizza can reclaim its reputation as a healthy, well-rounded meal. A pizza made with a handmade crust and freshly prepared sauce is not comparable to its frozen or processed cousin. Though both can fulfill that pizza craving, nothing is more satisfying than a freshly baked steaming pie straight out of the oven. Your taste buds will enjoy the fresh taste of real ingredients, and your body will appreciate all the nutrients it needs to stay healthy. Adding fresh vegetables to the top of your pizza will also add loads of vitamins and minerals. Many of the same ingredients in a salad can be added to a pizza. Coupled with the calcium and protein in fresh cheese, pizza satisfies all of the food groups we learned about as a child in school. 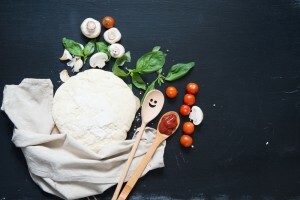 Meat lovers will enjoy the addition of various protein to their pizza, while veggie-lovers can benefit from more vegetables or even leaving off the cheese entirely if they desire. Do not let the perception of pizza as a junk food stop you from enjoying a locally made and freshly prepared pizza for your next meal. Some of the best pizza in Las Vegas uses real and nutritious ingredients, so you can feel confident that you made a healthy choice.